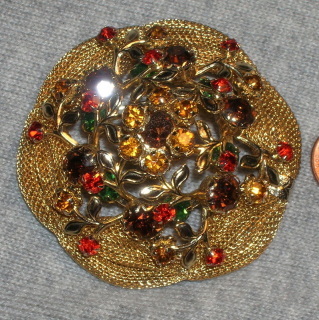 Vintage Chunky Gold Mesh Rhinestone Fruist Salad Brooch Haskell Hobe 2 1/2"
sparkles like crazy and is a high domed piece. 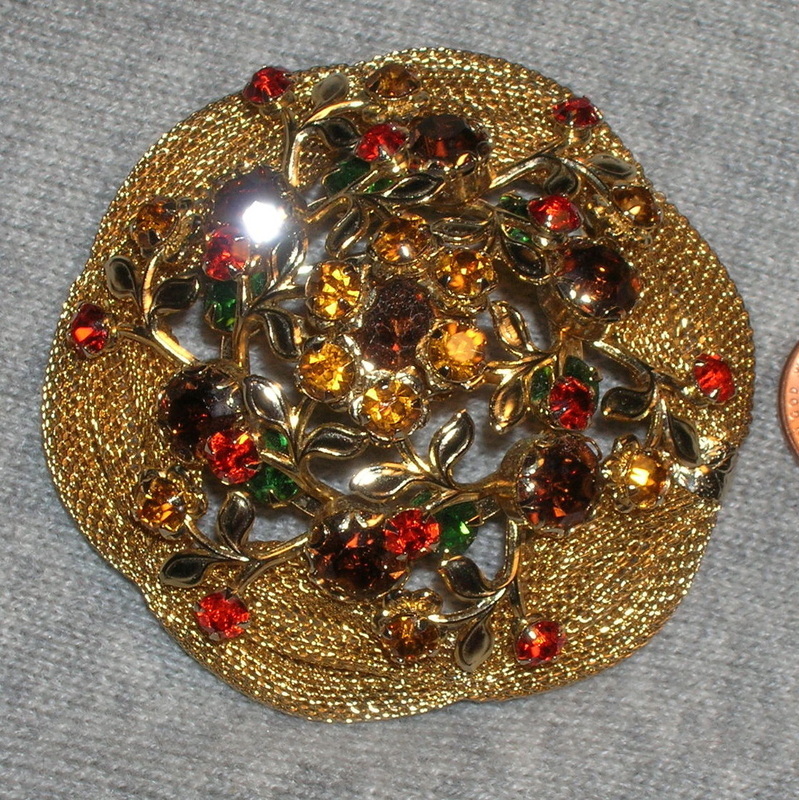 The rhinestones are all prong set with gathered mesh ribbon base. It is in like new mint condition and measures 2 1/2" diameter by 1 1/4" high (base to top) as it has a high dome. This is a fabulous addition to any vintage jewelry collection; photos don't do this justice whatsoever. The finish is perfect.